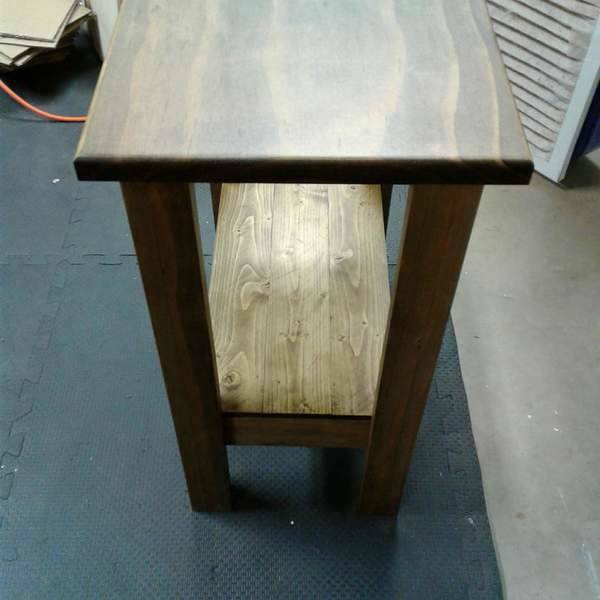 My baby sister needed a small end table since she recently moved into her first apartment, so as a birthday gift I decided to make her one. 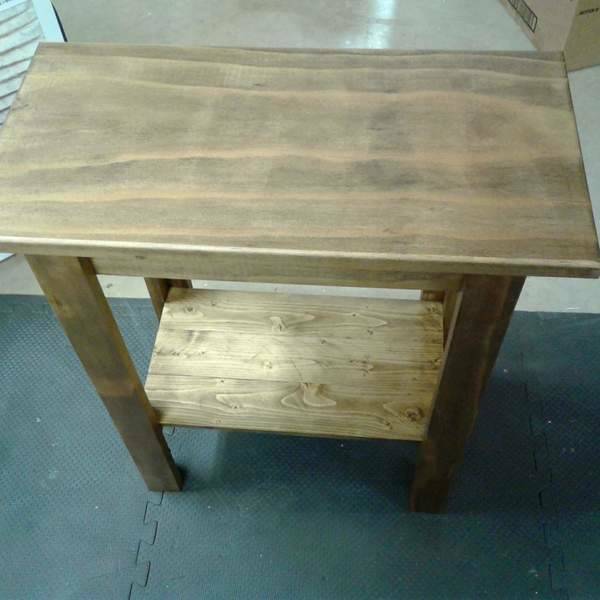 I glued and tacked a box together then attached it to the top piece using pocket screws. Next I glued the leg parts together and then attached them to the box. Finally, I glued and tacked a shelf together near the bottom of the legs. I used a round-over router bit to break the sharp edges of the top of the table. 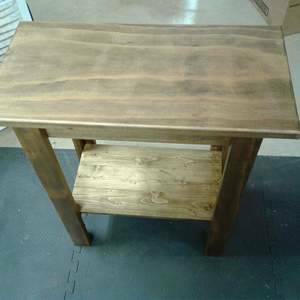 Everything was finished with Varathane black walnut oil-based wood stain then finished with Varathane water-based matte polyurethane. I applied 10 or 11 very thin coats of the poly using a Graco TrueCoat 360 VSP on setting 1.